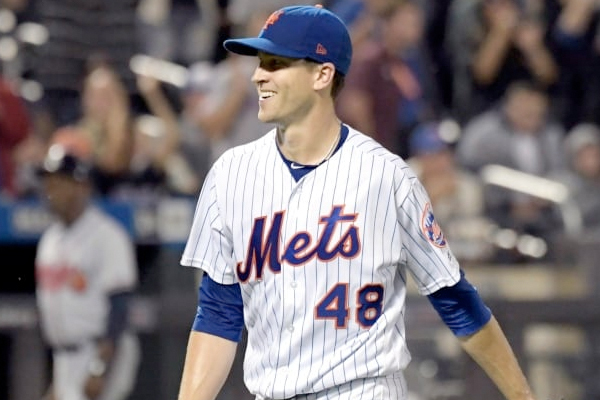 On Wednesday, New York Mets’ Jacob deGrom received 29 of 30 first-place votes to take home his first National League Cy Young Award. Despite a season marred by narrow defeats, the Mets ace wasn’t penalized for his lack of wins, and he blew away Max Scherzer in the voting. DeGrom had the fewest victories, only 10, but those 10 wins are the lowest ever for a Cy Young-winning starter. It was a smart choice. DeGrom was the undeniable best pitcher in the National League this season. Over in the American League, Blake Snell won a much closer race against Justin Verlander, earning 17 first-place votes to Verlander’s 13.